Microsoft is reportedly targeting an April 2015 launch for the operating system sequel to Windows 8.1, codenamed 'Threshold'. According to Paul Thurrott, Microsoft is trying to put the less-than-fantastic launch of Windows 8.1 behind it by calling the OS Windows 9, and although it hasn't entered the development phase, the company has already started planning ahead. In April 2014, which is just a few months away, Microsoft will hold its annual BUILD conference and it's rumored that the company's long term vision will be presented at the show. This will include the first look at what Microsoft has planned for Windows 9, alongside more stuff on Windows Phone and Xbox. Addressing the criticisms surrounding Windows 8 will be a major focus of Windows 9, and the OS is expected to bring "Metro 2.0", a major update to the design language used from Windows 8 onwards set to fix issues. As previously reported, this update may introduce a feature that allows Metro-style applications to be run on the desktop as floating windows, rather than just full-screen apps. 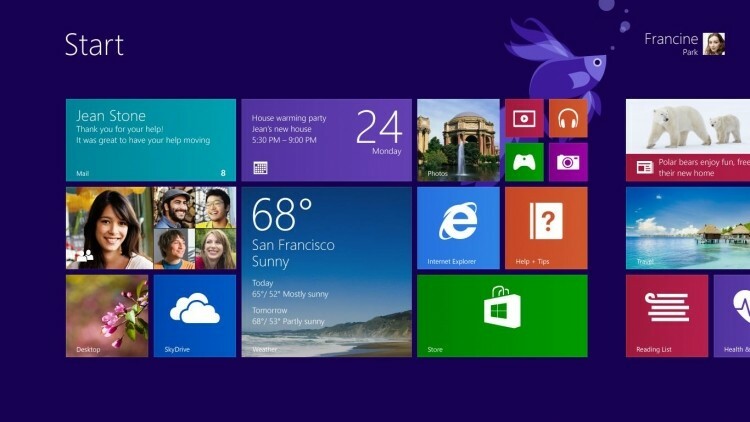 The Start menu may also return in Windows 9 'Threshold', or even earlier in a second 'Update 2' for Windows 8.1. 'Threshold' updates should also come to Windows Phone and Xbox, but it won't necessarily bring the eventual merge of Windows RT and Windows Phone. Currently Microsoft is working on 'Update 1' for Windows 8.1, which is essentially a free service pack that will likely debut in April 2014 alongside Windows Phone 8.1. The development of both OSes is nearing completion, so it shouldn't be too long before we'll get our hands on updates for Microsoft's main platforms.